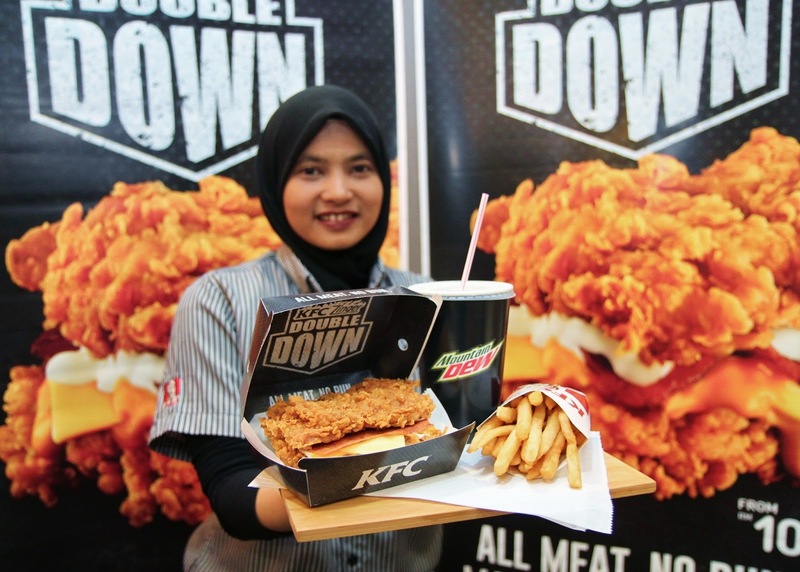 KFC Malaysia is back with the much loved and much anticipated Zinger Double Down. This extraordinary bun-less burger concept promises the ultimate one-of-a-kind eating experience that all burger and fried chicken fans would die for. This ‘All Meat. No Bun’ burger concept is ‘Made for the Bold’, as the campaign tagline proclaims. Forget a conventional burger bun, the Zinger Double Down is an original creation by KFC that transforms the way to enjoy burger. Substituting the bun is the favourite Hot & Spicy Zinger fillets sandwiching a slice of cheddar cheese and crispy chicken strips drizzled with KFC’s signature Cheezy Mayo sauce. It is no lightweight meal and makes for a substantial, lavish and satisfying eat. 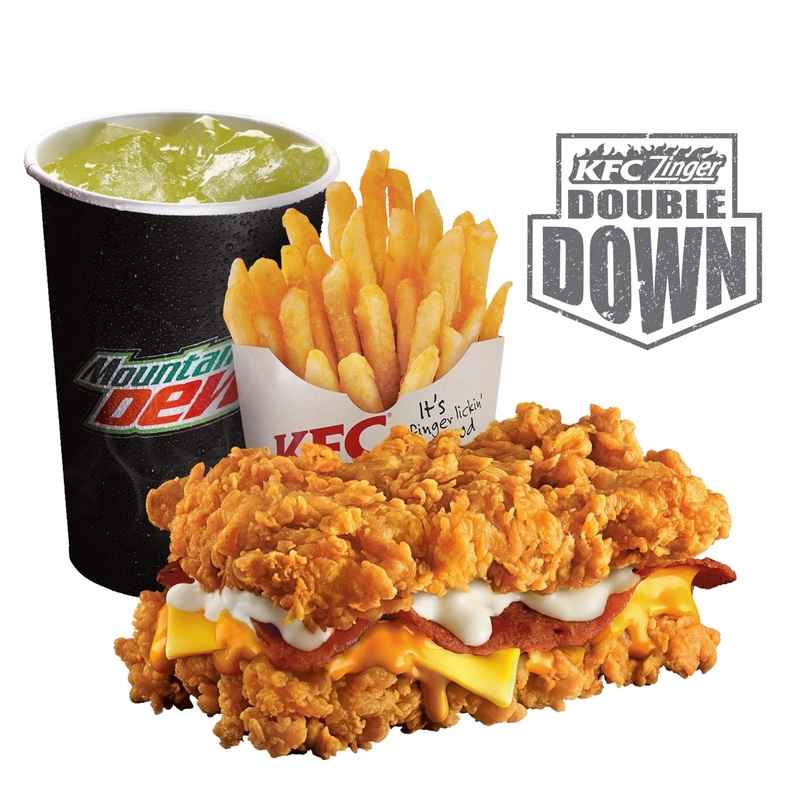 “The Zinger Double Down takes the burger experience up another level. With two Hot & Spicy Zinger fillets and cheese in between, there just isn’t any room for buns in the burger. It is a real treat for serious fans of our Finger Lickin’ Good chicken. You wouldn’t want to miss it,” she added. The KFC Zinger Double Down is available a la carte starting from only RM10.90. Customers can also enjoy a fully satisfying meal with the Zinger Double Down combo that comes with KFC Crispier Fries and a carbonated drink.